Google Summer of Code 2013 is half way through. Mid term evaluations are underway. I thought this is a good logical point for us to share what we have been doing for Biodiversity Data Visualizations in R project and open up the package for testing and some early feedback. We have named the package bdvis. The package is on github, and I would appreciate if you could install and test it. Feedback may be given in the comments here, using issues on github by twitter or email. The data was obtained from the Data portal of Global Biodiversity Information Facility. (http://data.gbif.org). 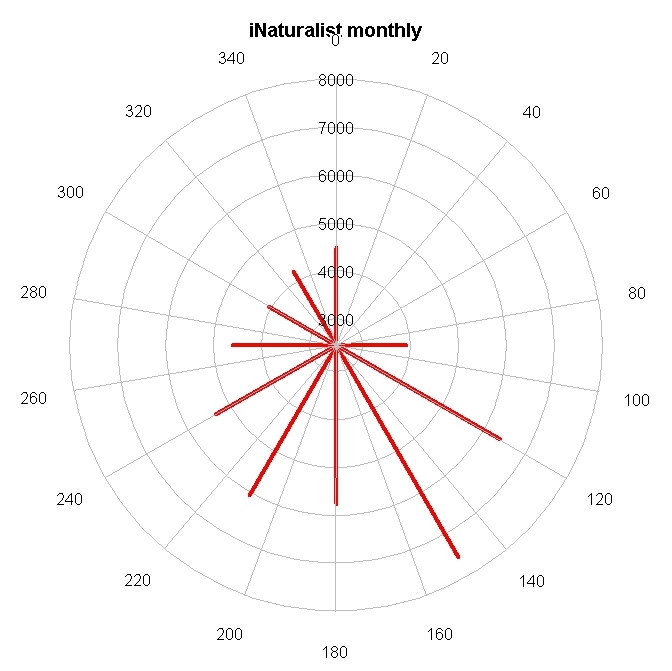 The data set we are looking for is iNaturalist research grade records. 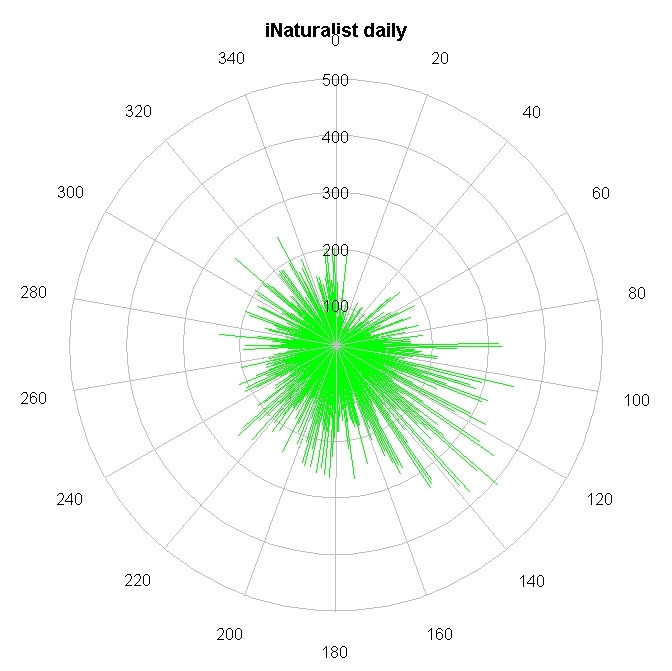 We accessed the datasets page at http://data.gbif.org/datasets/ and selected the iNaturalist.org page from the alphabetic list which is at http://data.gbif.org/datasets/provider/407. Once on this page use link Explore: Occurrences and then from the next page click Download: Spreadsheet of results. On this page make sure Comma separated values is selected and then press Download Now button. Website may take a few minutes to make your download ready. Once it is ready, the download link will be provided. Typically the name of the file will be occurrence-search-12345.zip The number of digits would be as many as 40. Use the link to download the .zip file and then extract the data file occurrence-search-12345.csv in the working directory of R. Since this file has a long name, let us rename it to inat.csv for convenience. Now we are ready to load our data. we are on right track. Our data is loaded into R. For the time being, this package handles only GBIF provided data format, but getting user generated biodiversity data in this format using some built in functions is being worked out. Now let us install bdvis package. First we need to get devtools package which will let us install packages from github (rather than CRAN). we are on right track. Our packages is installed and loaded into R.
Let us start playing with the functions now. We have the data loaded in inat data frame. What does this tell us about our data ? The bounding box is almost the whole world. Yes, this is global data set. 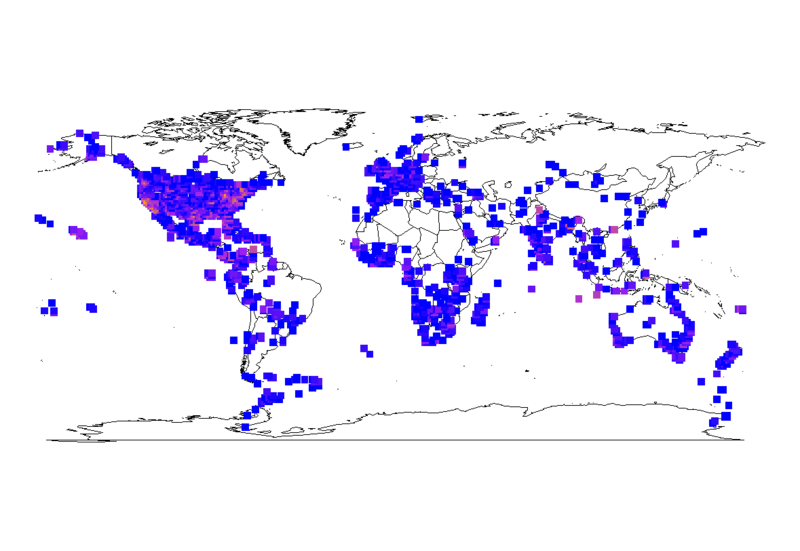 We have so many Families, Genus and Species represented in this data set. What more would you like to get in the summary? Should I rename the function summary to something else, so it does not clash with usual data frame summery function name? What more options would you like to see here? Ability to zoom in certain region? Control over color pallet ? Dailyly plot of Temporal data. Each line is records on each day of the year. Weekly plot of Temporal data. Plottype polygon is used here. Monthly plot of Temporal data. 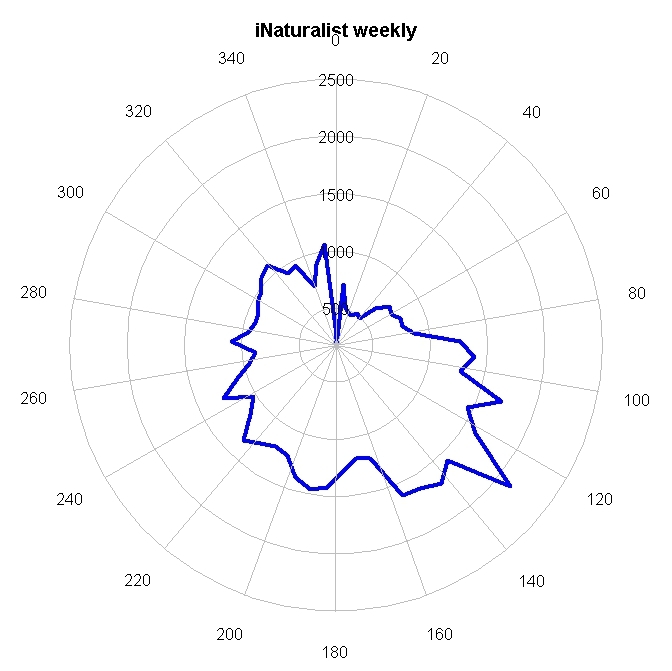 Each line is representing records in that month. Here options to control color, title, plottype and of course timescale are provided. We are less than half way through our original proposal, and will continue to actively build this package. As I build more functionality, I will post more information on the blog. Till that time keep the feedback flowing telling us what more you would like to see in this package.